Nice milkshake and nice clicks too! In love with this nutty & healthy milkshake!! What a scrumptious milkshake! I love milkshakes so much. Yum, the ingredients in this sound wonderful. Thanks for sharing. 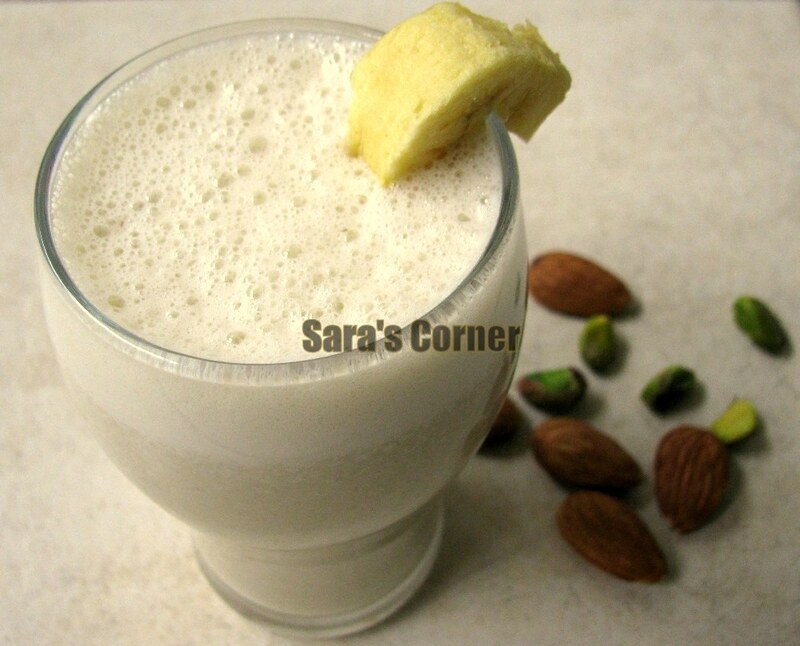 Luv this healthy shake...Nice click...Thank you for commenting in my blog.Stay in Touch. 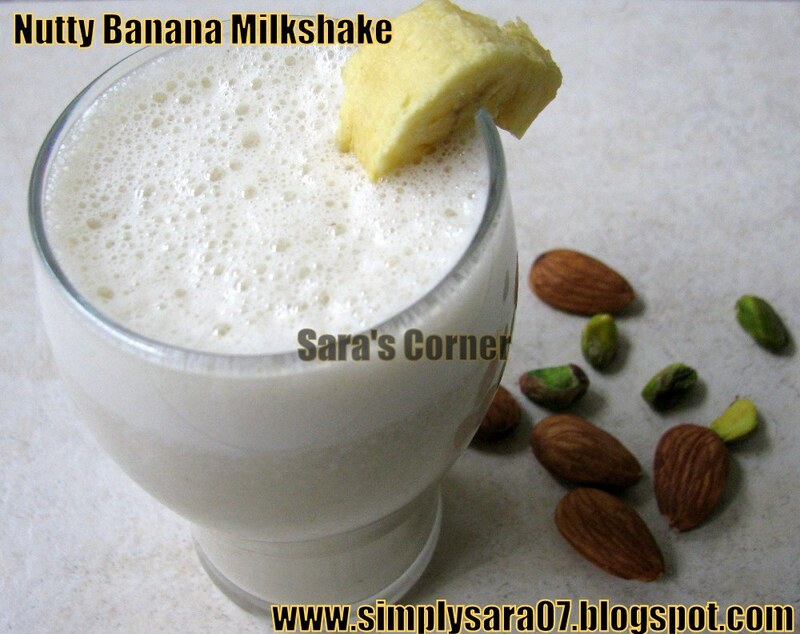 Nutty shake is driving me nuts on seeing it:) Iam bowled over by the amazing presentation sara. Glad to follow you dear.Loved your space a lot.